To raise awareness of health and psychological impac ts of Climate Change for individuals, our communities,and relevant public agencies. 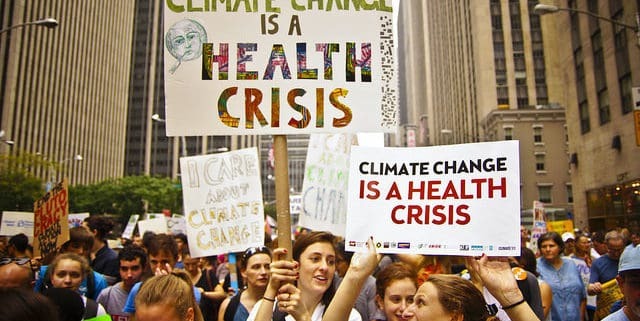 Prepare, arrange and offer public presentations on Climate Change and health, and Climate Change and stress. Develop a multimedia narrative project (Voices of the Valley) that will present people from our own Rogue Valley communities, especially the most vulnerable populations, sharing their stories of how extreme weather and climate change is affecting their physical and mental health, their work and home life. A series of mini-documentary interviews will be featured on SOCAN’s website as well as at public screenings, and human-sized photo displays will tour our public libraries. Increase personal health preparedness as well as psychological resilience. Facilitate communication among those who are concerned. This project addresses the Mission of promoting awareness and understanding of climate change, its causes and consequences. Ken Deveney has given presentations on “Climate Change and Stress” at Southern Oregon Friends Meeting House, Ashland Public Library, Rogue Valley Unitarian Universalist Fellowship, and the Ashland Congregational United Church of Christ. He has done trainings in Re-Evaluation Counseling (RC), and will do another in the spring of 2017. This Project also arranged presentations at SOCAN’s monthly public meeting at the Medford Public Library: Dr. Bryan Sohl and Ken Deveney on Health and Psychological Impacts of Climate Change (Link) as well as Bob Doppelt, Executive Director, The Resource Innovation Group, and adjunct instructor in the Department of Planning, Public Policy and Management at the University of Oregon and author of Transformational Resilience: How building human resilience to climate disruption can safeguard society and increase wellbeing. Please contact Ken Deveney at ken@socan.info. The April 2016 federal study “The Impacts of Climate Change on Human Health in the United States” discusses seven key areas of health concerns: temperature-related death and illness; air quality impacts; extreme events; vector-borne diseases; water-related illness; food safety, nutrition, and distribution; and mental health and well-being. Health officials are also mapping the specific vulnerable population groups of each region and community, such as the elderly, children, and low-income families. This was developed by, and is being promoted largely by a youth organization called the Sunrise Movement. Representative Alexandria Ocasio Cortez (AOC) is a leading proponent but many others have also endorsed it. Ocasio Cortez and Senator Ed Markey have developed a Green New Deal Resolution that is being introduced into the federal House ans Senate. The notion of a Green New Deal that combines environmental / climate consciousness with social justice seems very attractive – even exciting. However, what the initial Select Committee proposal was tremendously naive (a naivete shared by many who should know better) regarding climate science. That initial proposal focused on carbon, decarbonization, and a carbon-free economy as though carbon (dioxide) is the only problem. We contacted them through several means to point out that the focus must be on greenhouse gases NOT carbon unless they want to promote natural gas and methane leakage. The problem with a focus on carbon is that it ignores the non-carbon greenhouse gas Nitrous oxide, and undervalues the impact of other greenhouse gases (methane and the fluorocarbons with much greater global warming potential than carbon dioxide) thus promoting conversion by utilities and vehicles from coal/oil to natural gas. This would promote the relatively large leakage of methane that results from fracking, processing and transmitting fossil (natural) gas. Then, after a few weeks, we learned that they had revised their proposal exactly as suggested. We don’t know if it was just us or others commenting also, but I was pleased by the adjustment. The text of the updated proposal for a Select Committee, though now moot, can be found here. Since then, references to the GND suggest again that its focus is on carbon. We don’t know if this is because not everyone associated with the GND actually got (or understood) the message, or if it’s just reporters being out-of-date in their reporting, or being so locked into carbon in their minds that they don’t see the adjustment. Anyway, while tentatively enthusiastic, we await confirmation that they really understand the since. So, until our confidence grows in their understanding of this issue, we remain a little guarded. However, the text of their strategy is very promising. In order to stimulate appropriate action at all levels, SOCAN is committed to reaching out to our elected representatives and their staffs both to express our concerns about climate change and its consequences, and advocate for or against positions held by these individuals and proposals that are under discussion. Our hope is to serve as a resource for technical knowledge and expertise on climate change and to support governments in taking action to address the problem. This project serves all three prongs of the Mission since it is clear we need bold federal, state, and local action to address the problem, we need to promote awareness and understanding about the causes and consequences of climate change among many of our representatives, and we wish to promote reducing the severity of climate change by both decreasing the causes of it and by preparing for its inevitable changes. To date, this team has organized successful visits of a delegation to the regional offices of Congressman Greg Walden, Senator Ron Wyden, and Senator Jeff Merkley as well as local city council members. Plans are underway to increase our contact with local representatives and city department staff. While we are all individually responsible for doing the best we can do to address climate change through modification of our personal behaviors, the unfortunate reality is that this is a necessary but insufficient condition. Addressing this global crisis will take more than that; it will require the collective action of peoples throughout the world taking steps to curtail the greenhouse gas pollution that is increasing the global temperature and imposing havoc on our weather patterns. This global problem will take global collaboration. Beyond personal and corporate efforts, we want our local, state, and national governments to address climate change in a manner consistent with their authority and responsibility. Through attendance at regional programs (presentations and workshops) and participation in field trips exploring local forest management strategies and tactics, the Forest and Fire team members have been learning who the local players are and what the currently preferred strategies and tactics are. The group has also been learning where the conflict in recommended methods for achieving healthy resilient forests exist. Increase the understanding of SOCAN volunteers and the public about the complex interactions between forests and climate change and forest health and wildfire risk. Contribute to regional conversations about the forest management strategies that can best promote healthy resilient forests and promote carbon sequestration to reduce atmospheric concentrations and mitigate Oregon’s greenhouse gas emissions. SOCAN’s mission is to promote understanding and awareness about the science of climate change, its causes and consequences, and encourage action to address the problem. Contributing to regional discussions leading to effective management of our forests for their health and carbon sequestration capacity is entirely consistent with that mission. In collaboration with the Southern Oregon Forest Restoration Collaborative and The Nature Conservancy, SOCAN organized a forestry workshop that was held in Grants Pass in November 2016 and attended by some 30 invited guests representing the agencies, private landowners, and regional non-profits. See Resources for Rogue Forests for the Future outcomes. Please contact Gary Clarida at frygulch@budget.net. There exists a profound link between forest health and climate change. On one hand, climate change influences forests by adjusting the critical conditions of temperature and precipitation that support forest systems and individual forest species. On the other hand, some of Oregon’s forests are among the most effective carbon sequestration ecosystems on the planet. Additionally, on the third hand, climatic conditions (particularly snowmelt date, soil moisture, and Spring and growing season temperatures) are among the most significant factors predicting a severe versus ‘normal’ wildfire year. Please contact Louise Shawkat at louise@socan.info. Since 30-40% of greenhouse gas emissions in Oregon result from transportation, SOCAN is committed to transportation policies that address these emissions.